Ancestry.com began as a genealogy service and in 2012 quickly became a leading DNA testing service when the industry began taking off. With an industry-leading reputation, AncestryDNA testing kits combine reliability and affordability to produce a superior product. The sheer size of Ancestry's database has helped it become a popular place to go for those who want to find out more about their family's history. Ancestry claims to have more than double the geographic detail of the next leading testing company. Its simple-to-use autosomal testing kit is ideal for those looking to find relatives. The kit is really easy to use. Basic requirements are standard for these types of tests. Taking the test itself is straightforward. 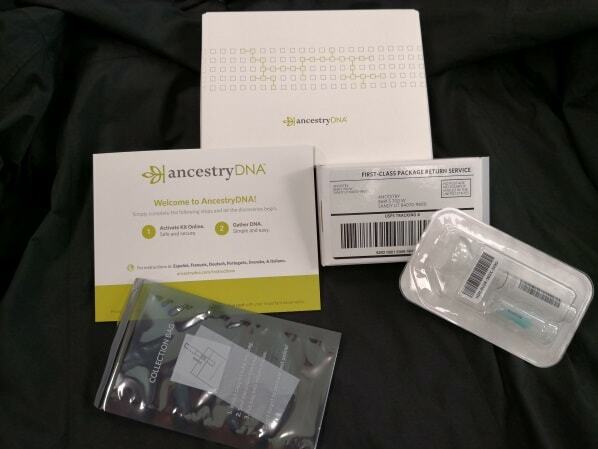 You open your kit, register with the code provided on the AncestryDNA website, open the small plastic container and spit in it until you reach the indicator line, close up and bag, and send in the envelope to the lab. Application documents require the most basic information (name, email, etc.). Then the only other info to fill in is when you get your kit, filling in your unique code. All this is explained in the step-by-step instruction manual that comes with your kit. AncestryDNA’s kit leverages Ancestry.com’s strong family tree and genealogy background to provide DNA results that provide information that is focused on genetic links, historical figures, and more recent family histories stretching back hundreds of years. 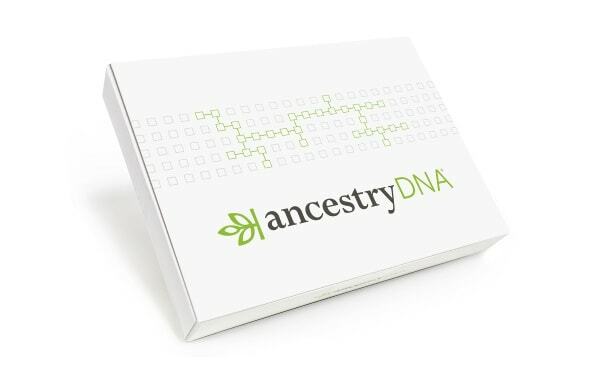 It has the biggest database of all the testing kits on the market, which means that with this kit, you are much more likely to find relatives and complete more of your family tree than with any other kit. As with other kits, it also provides insights into who you are from an ethnicity perspective – where your ancestors are from, and what migratory journeys they went on; both thousands of years ago, as well as more recently. Where this kit holds a significant advantage over others, is that it offers information both on the distant past, as well as more recent information on relatives and your family tree. More than just providing results however, AncestryDNA also provides powerful tools that can help you with your genealogical research, finding long-lost relatives or even proving your relationship to important historical figures. For example, a US-born person with an Italian name might have heard that they are of German ancestry. 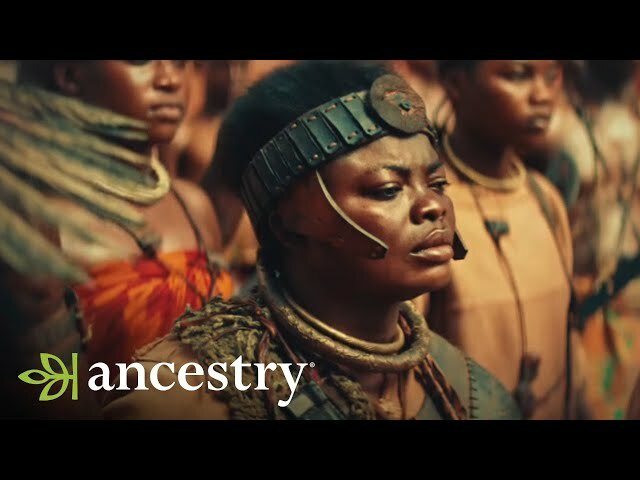 Taking the AncestryDNA test will prove where the strongest ethnic links are, and completing the search through the Ancestry.com site will often pinpoint a specific detail, such as a village name. These links often give important clues and reveal intriguing stories, as layers are uncovered showing what may be an Italian family moving to a wine-making region in the Rhineland after a significant historic event. One of the biggest reasons to choose AncestryDNA is the fact that it’s backed by Ancestry.com, which is the largest for-profit genealogy company in the world. When it comes to DNA tests, a larger database and more users mean that you are more likely to get a fuller set of results, and more connections to possible relatives. For some testing kits this matters less, as many kits provide information on more ancient history and ancestral migratory patterns. With kits like AncestryDNA however – where part of the product’s advantage lies in real-world connections – a large database is preferable. This means that in addition to the DNA information provided by other kits on the market, you can use your results to find out a whole lot more about yourself, by finding specific ancestors and connecting with relatives around the world. This part of the service is opt-in—the company takes privacy very seriously. Signup and testing is easy, and results are presented in a fun and interactive way. The kit is delivered within a few days. Taking the actual test will take you only a couple of minutes, and then you just have to mail off the test to the lab. After this step, results take around 6 to 8 weeks, after which you are notified and can see your results on the AncestryDNA site. Your account is password protected, so only you will have access to your results. The results are presented in a way that is clear and easy to understand. The ethnicity map allows you to visualize and interact with your DNA results, and colors used on the map correspond to the colors in your ethnicity results pie chart. The map is interactive, so you can click and zoom to hone in on interesting details. While exploring your results, you’ll see “Predicted Relationships,” as well as a confidence range. For example, this could be “3rd Cousins, Extremely High confidence,” with a full explanation of what this relationship means, possible permutations, and how accurate the prediction is. We found the results informative, with easy-to-use “What does this mean?” buttons and links throughout that give explanations of each section. The real fun starts when you link your results to an Ancestry family tree, as you begin to find out more about the generations that preceded you, including specifics on distant relatives. One of the most convenient features of Ancestry.com's genealogy product is the ability to customize your own homepage, putting your most used features and resources on the page you see first when you log into Ancestry. Ancestry offers users a way to print attractive posters and history books, using the photographs and information stored in a family tree. In terms of Ancestry’s genealogy offerings, the site has undergone a number of redesigns of its graphic interface over the years. It has arrived at a pretty good balance between looks and organization. With such a sheer volume of information available, the site can seem a bit intimidating to the novice. But after just a few minutes, finding your way around the site gets to be second nature. You can view your family tree in different layouts. Simply clicking on an individual’s name pops up a floating window with basic information and options to view a full profile. It is very intuitive and easy to use. It is easy to add information to your family tree, with the ability to review the new facts before accepting them. Since 1996, Ancestry has amassed more than 17 billion searchable records. While the majority of these records relate to the United States, Ancestry also has an impressive collection of more than 4 billion international records. It averages more than 2 million new records each day. With more than 2.3 million paying subscribers, Ancestry also has 80 million family trees with more than 7 billion individual profiles. Ancestry has a dedicated customer service call center, as well as a full support website. This includes common questions and popular topics, videos, and other instructions. Here you’ll also find links to social sites (Facebook, Twitter, Pinterest, etc.) where Ancestry is active and you can find answers to any questions or concerns. In short, AncestryDNA is probably the most comprehensive solution on the market, and is certainly worth the price. While lacking health information, it offers details from ancient to history to modern family tree information, and offers a great, user friendly experience. It comes with many added features, for example Shared Ancestor Hints and Genetic Communities, which mean that there is something for everyone, from serious family tree sleuth to an individual that just wants to find more about themselves. With a major investment firm as its prime shareholder, we can expect Ancestry will continue to innovate with technology, adding to its menu of products and services. Ancestry, Inc. was established 1984, originally as a publishing company. The company listed on the NASDAQ in November 2009, and today has offices around the world. The company is the largest for-profit genealogy company in the world, employing 1,400 people and active in over 30 international markets, with more than 2.6 million paying subscribers and 4 million AncestryDNA customers.